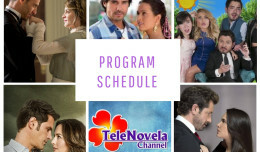 Passion: Episode 59 | TeleNovela Channel - Bringing you closer to lifes drama. Francisca and Lisabeta lodge at Mancera mansion while Ursula disapproves of it. Sofia suggests that Jorge asks Camila and Ricardo’s help to convince Santiago to reconsider and acknowledge him as his father. Meantime, Ricardo argues with Lisabeta for asking Alberto’s help to strip Camila of her fortune and for asking Jorge to accommodate them in his house. Rita gives birth to a baby girl.